Adelaide Strikers leg-spinner Rashid Khan celebrates the wicket of Perth Scorchers Ashton Turner during the Big Bash League Perth Scorchers at the WACA. Picture: Paul Kane/Getty Images. 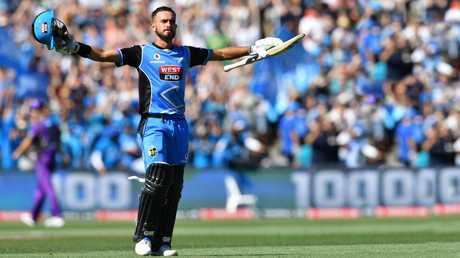 Jake Weatherald says Adelaide's Strikers' title-winning formula can translate to SuperCoach BBL success. Weatherald (115, 70 balls) produced a match-winning Big Bash ton for the Strikers against Hobart last February but modesty prevented including himself in the 2018-19 SuperCoach BBL line-up. There is method to Weatherald's selections based on opponents who have impressed along with championship pedigree of teammates. "We have covered all bases with the Strikers but based the game around bowling and defending totals and just making enough," Weatherald said. Weatherald picked Brisbane Heat's Sam Heazlett as Alex Carey's opening partner while New South Wales' allrounder Jack Edwards, 18, carries value after storming onto the domestic scene this season. "I went with Sam based on the fact he had such a good one day series, saw him bat," said Weatherald of Heazlett who averages 50 with a scoring rate of 106 after nine games. "You are backing your top five or four to make the runs and the rest to defend it. "You wouldn't pay a lot of money for him, I think he has a lot of firepower and hits the ball to weird areas. I think he would go well with Alex Carey." Australian limited overs vice-captain Carey's 443 runs at 49 was instrumental in the Strikers BBL title triumph and remains the keeper-batsman you can't go past says Weatherald. "Kez had a pretty good year last year, a lot of experience and memories making a lot of runs which is big in T20 cricket. Confidence helps you play well in T20 cricket. He has shown he is good to go at the top," Weatherald told The Advertiser. Chris Lynn is renowned for a BBL scoring rate of 156 while averaging 40 and the man any teams wants in the key No. 3 slot. "He just smacks them. He has shown he can play whatever innings is required. I would put him at No. 3," said Weatherald. 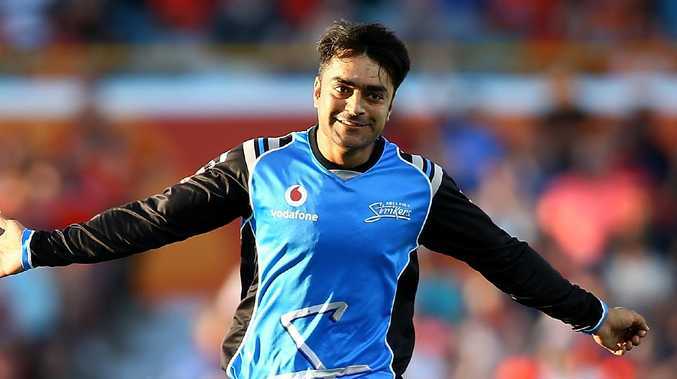 Rashid Khan is the premier tweaker in the BBL and took 18 wickets at 13 to win the Strikers MVP. Whatever the Afghan whiz costs will be worth it. Rashid Khan topped the wickets list last season. "Rashid Khan was the other big in for me, he can slog them as well, hits a few sixes and always takes his two wickets in the middle. We have spinners around him like Colin Ingram who can do a job," said Weatherald. Billy Stanklake and Nathan Coulter-Nile are Weatherald's preferred 150km/h enforcers while the change-ups of Andrew Tye and all-time BBL leading wicket-taker Ben Laughlin (92) can bog down the best. "Early in your innings it is pretty hard to face quicks. Billy can come on and scare a few people and nick a few off. Nathan Coulter-Nile can do the same," said Weatherald. "We have bowlers with good variations like Tye and Ben Laughlin to come in and slow the run rate down a bit. Tye wants the ball in important overs which is a good option to have. Weatherald notes his team has power hitters and leaders in Travis Head and Colin Ingram who commanded the Strikers inaugural title. "Colin is a great leader and amazing person to have around. He is a bit older, brings a different way of playing cricket from South Africa and England. It's good to have a fresh person running around saying a few different things," said Ingram. YOU have a $2 million salary cap and 16 players to pick. FILL each position. You'll need 7x batsmen, 2x wicket keepers and 7x bowlers. And new for this season, allrounders are dual-position players, selectable as either batsmen or bowlers, while wicketkeepers are also dual-position players, selectable as batsmen or keepers. CHANGE your initial squad as often as you like until round one starts. BEFORE each round, choose a starting 11. Only these players score points for your side. Select one of these players as captain; he earns double points, and a vice-captain as back-up. KEEP a close eye on the Big Bash schedule, as some teams have byes in particular rounds, while others play twice. If a team plays twice in a round, points are scored for BOTH matches, making these players logical captaincy choices. You'll also need to juggle the availability of overseas and Australian national players as they come in and out of BBL. THE season is broken into 15 rounds (up from 10 to account for the expanded season), generally consisting of four to five matches. DURING the season, you have three trades a round (36 total) to build your side into a SuperCoach powerhouse. Unused trades are not transferable. SuperCoaches then have unlimited trades for round 14 (semi-finals, picking from four participating teams) and round 15 (final, picking from two participating teams). PLAYER prices move up and down like a stock market after a player has played their first game, and every game thereafter. If you've played SuperCoach NRL or AFL formats before, you'll be used to a three-match rolling average, which also sees a player's price increase or decrease, depending on their output. However, in SuperCoach BBL, price changes will occur right from Round 1 - not after a player has played in three matches. It's this small bit of detail coaches will need to be on top of from the first ball. It's a tough one but seniority counts, so we're going to pick the skipper as the star player. Travis Head (BAT, $207,500), who averaged 76.67 SuperCoach points a game in nine appearances for the Strikers in BBL|07, is the highest-priced player in the Adelaide side. For the above reason, it would be easy to consider that Head will be the player you most want to avoid picking in BBL|08. The likelihood is that he'll be busy with international duties for the majority of the season, so will be unavailable. 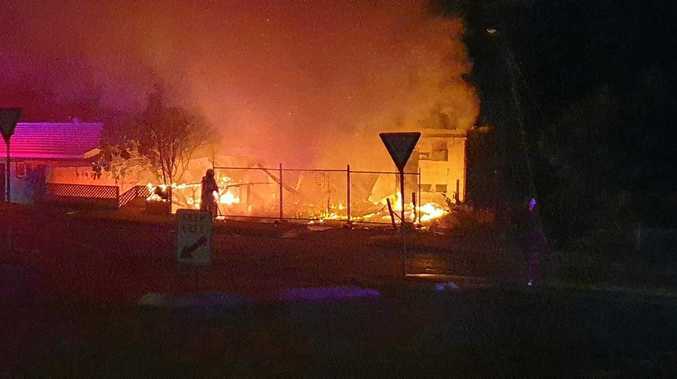 Alternatively, it could be wily veteran Peter Siddle (BWL, $147,700) who is the burn man this season, because he's another with claims to Australian representation if the nation's key strike bowlers cop any injuries. If the above happens and these two key players miss extended action because of national commitments, the Strikers will have a couple of youngsters under pressure to step up with bat and ball. Look no further than Melbourne Renegades' recruit Matthew Short (BAT, $129,900), who opened for the Renegades in their final regular season game in BBL|07, smacking 62 balls off 48 balls to lead off their innings in his customary position as opener. 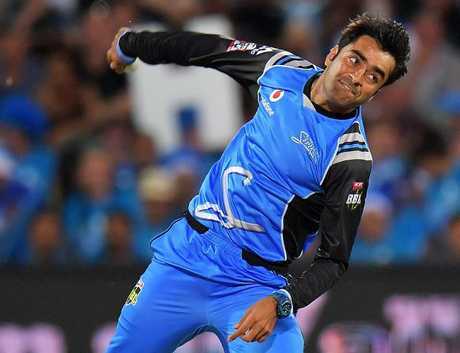 When it comes to young guns in the Big Bash, it's impossible to look past Rashid Khan (BWL, $198,800), with the Afghani leg-spin sensation bamboozling opponents last year, taking 18 wickets from 11 games, on his way to averaging 73.45 SuperCoach points a game. Someone who is possibly going under the radar this season is Jake Lehmann (BAT, $62,500), who had a rotten run in BBL|07, failing to post a high score greater than 23 despite taking to the crease nine times. His strike rate of 119.23 remained healthy and if he can hit peak form, his clean striking will see him hit some sweet SuperCoach scores and his price soar as a result. If his incredible final innings wasn't enough indication, Jake Weatherald (BAT, $144,600) is seemingly made for the Big Bash stage. Weatherald smashed his way to a ridiculous 115 in the BBL|07 final - the highest score ever by a Striker - to go alongside three 50s through the final five games of last season's tournament. He finished second in the competition for sixes (19) and third for runs overall in a blistering end to the summer. Youngster Billy Stanlake (BWL, $137,500) is a towering quick who regularly hits 140km/h but it's his economy rate of just over a run a ball that is so exciting to see from a SuperCoach perspective. With the bonus points he can earn as a player, Stanlake is certain to bowl his allocated four overs an innings, making him a real possibility to select as a standalone bowler option.